Gazprom will take on the majority of the work that will go into a pipeline that will transport Russian gas to China, one of the most ambitious projects ever undertaken by Russia. The Russian company expects the project to be completed next month. Gazprom said that it held talks with China National Petroleum Company (CNPC regarding advances stemming from a 2014 accord, when Gazprom agreed to sell 38 billion cubic meters per year of gas to CNCP via the new Power of Siberia gas pipeline. “The bulk of work on the Power of Siberia gas pipeline’s linear part stretching from the Chayandinskoye field to the Russian-Chinese border would be completed before the end of 2018,” read a Gazprom statement. The Power of Siberia is a gas pipeline to deliver natural gas from Irkutsk and Yakutia production centers to the Russian Far East and China. The 1,864-mile long pipeline from Siberia to the Chinese border is aUS$55 billion investment that is reported to be the largest in the gas sphere during the era of the USSR and Russia. To put the 38-billion-cubic-meters-annually Russia-China contract in context, Financial Times said that in all of 2017 Gazprom supplied about 200 billion cubic meters of gas to Europe, equivalent to nearly 40 percent of all of the continent’s demand. China is working separately to build a pipeline connecting its border with Russia with Shanghai. The project involves construction of two underwater tunnels. 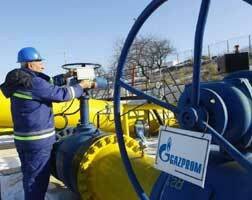 The two companies also discussed plans to build underground natural gas storage in China. Such storage normally taps depleted fields, aquifers, or salt caverns. CNPC already has over 33,600 miles just of gas pipelines in China, about 76% of the total in the country. It also owns most of the crude pipelines and about half the refined product pipelines in the country.